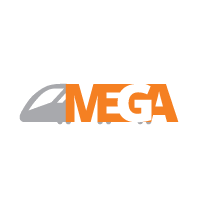 Metro Link Express for Gandhinagar and Ahmedabad (MEGA) Company Limited invites applications from qualified and experienced candidates for appointment of key senior / middle level management positions on Contract Basis. The last date for submission of applications is 20th July 2017.
? 2,00,000/- to ? 2,25,000/- Per Month.
? 60,000/- to ? 80,000/-Per Month. General Manager (Civil) -> Candidate must be B.E/ B.Tech (Civil) engineering graduate having minimum 20 years of Post Qualification experience in large infra project execution environment, out of which 7 years in construction of Viaducts, Bridges, Multi-Stored Buildings, Workshop Sheds etc. Candidates having working in Metro Rail Viaduct construction with experience of supervising Segment Casting Yard work, erection of Launching Girder for segment launching, pile foundation works etc, will be preferred. Responsible for supervision and monitoring of Construction works as per DPR. Deputy General Manager (Civil) -> Candidate must be B.E/ B.Tech (Civil) engineering graduate having minimum 18 years of Post Qualification experience in large infra project execution environment, out of which 5 years in construction of Viaducts, Bridges, Multi-Stored Buildings, Workshop Sheds etc. Candidates having working in Metro Rail Viaduct construction with experience of supervising Segment Casting Yard work, erection of Launching Girder for segment launching, pile foundation works etc, will be preferred. Responsible for supervision and monitoring of Construction works as per DPR. Deputy General Manager (Design & Planning) -> Candidate must be a B.E / B. Tech (Civil) engineering graduate having minimum 18 years of experience in all matters relating to Construction Planning, Construction Progress, Checking / Reviewing Metro Rail alignment, Station locations, land requirement for construction, review of tender technical specifications, interact with systems division dealing with AFC, S&T, OCC, Electrical System. 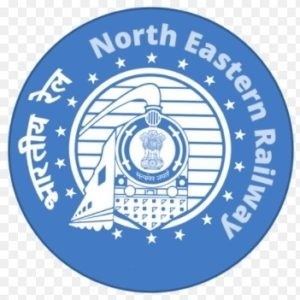 Candidate worked in Railway or Metro Rail Government Department shall be preferred. Deputy General Manager (Traction Power) -> Candidate must be a B.E / B. Tech (Electrical)/ (Electrical & Electronics) engineering graduate having minimum 18 years of post qualification experience in planning, design, preparation of technical specification, administration of contracts, installation, testing, commissioning and statutory approvals of traction power works including receiving sub-stations, traction sub-station, auxiliary sub-station and power distribution works in construction projects of railways / metros/ other PSUs/ private sector dealing with electric traction system. 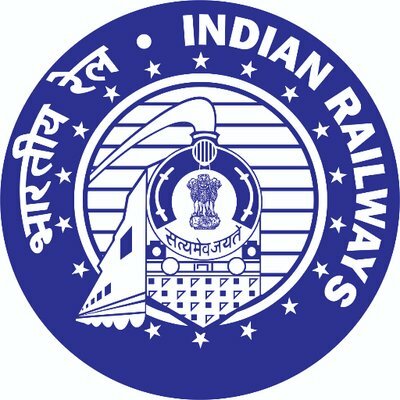 Also he/she should be conversant with international competitive bidding process, computerized environment working and latest technologies in electric traction system etc. for underground/ elevated metro/rail projects in urban & suburban environment including consultancy works related to urban rail projects. Candidates with experience of working in modern urban metro rail systems with 750V DC third rail traction will be given preference. Deputy General Manager (Underground-E&M) -> Candidate must be a B.E / B. Tech (Electrical / Electrical & Electronics, Mechanical) engineering graduate having minimum 18 years of post qualification experience in Tunnel ventilation, Environment control system and E&M works of Underground Metro Rail Projects. 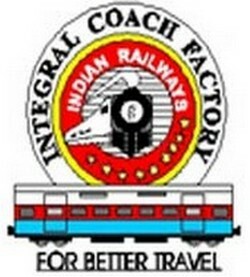 Deputy General Manager (Rolling Stock) -> Candidate must be a B.E / B. Tech (Electrical / Electrical & Electronics) engineering graduate having minimum 18 years of post qualification experience in planning, design, preparation of technical specification, administration of contracts, installation, testing, commissioning and statutory approvals of modern electric rolling stock in construction projects of railways / metros/ other PSUs/ private sector dealing with Rolling Stock Systems. Also he/she should be conversant with international competitive bidding process, computerized environment working and latest rolling stock technologies etc. for underground/ elevated metro/rail projects in urban & suburban environment including consultancy works related to urban rail projects. Candidates with experience of working in modern urban metro rail systems will be given preference. Manager - Automatic Fare Collection (AFC) -> Candidate must be B.E/B.Tech (Electronics /Communications /Computer Science / Electrical) engineering graduate having minimum 7 years post qualification experience in installation / testing / commissioning / operations of Automatic Fare Collection Systems in any Metro Rail/ LRT / Suburban Rail/ Road transport etc. is essential. Candidates with Metro Rail Project experience will be preferred. Manager (Design & Planning) -> Candidate must be a B.E / B. Tech (Civil) engineering graduate having minimum 7 years of experience in all matters relating to Construction Planning, Construction Progress, Checking / Reviewing Metro Rail alignment, Station locations, land requirement for construction, review of tender technical specifications, interact with systems division dealing with AFC, S&T, OCC, Electrical System. Candidate worked in Railway or Metro Rail Government Department shall be preferred. Manager (Safety) -> Candidate must be a B.E / B. Tech (Civil) engineering graduate along with Diploma in Industrial Safety from recognized University / Institute having minimum 7 to 9 years of experience in all matters relating to safety policies and program. Collects, analyses and maintains data essential for effective safety, Health and environmental programs. Should have knowledge of relevant ISO standards for construction Safety Health and Environment. Evaluates hazardous conditions and recommends engineering controls, administrative controls, and/or personal protective equipment. Review all Safety documents on time to time basis. Provide guidance to construction safety team at site. Ensure all Safety protocols, Safety plan & permits are followed during dismantling & transportation at site. Conduct Safety audits & ensure its outcome is implemented prior to further progress of work. Review & approve Job Safety analysis documents prepared by contractors To assist the contractor safety Engineer for Weekly, Fortnightly safety report. Conducting safety review meetings with Client and Contractors Develop, update, organize and, if required, execute trainings and education concepts for site personnel and contractor's personnel with regard to Safety during construction. Coordinate with General Engineering Consultant (GEC) in effective discharge of safety, health and environmental (SHE) compliances at worksites. Candidates having relevant experience on a Metro Rail will be preferred.